‘Throughout history women’s rights have been ignored and suppressed. It remains a big problem in Armenia. During my research I found out that only 15 percent of girls in the village of Verin Axta continue their education after high school. 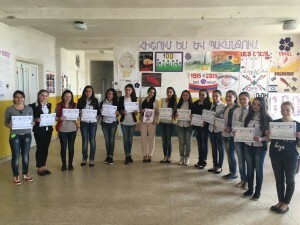 The rest of the girls marry and do not have careers,’ says Anahit Ghazaryan ’15. 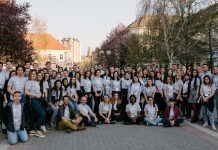 On April 15, the FLEX alumna implemented an educational seminar ‘How to Become a Female Role Model’ about gender equality and women’s empowerment for female high school students in the Lernanist School. Initially she aimed to attract 40 participants, but over 50 girls came to take part in the event. Such interest showed that the topic was relevant to many girls in the community. The Lernanist School provided a fully-equipped seminar room and volunteer help for the project. 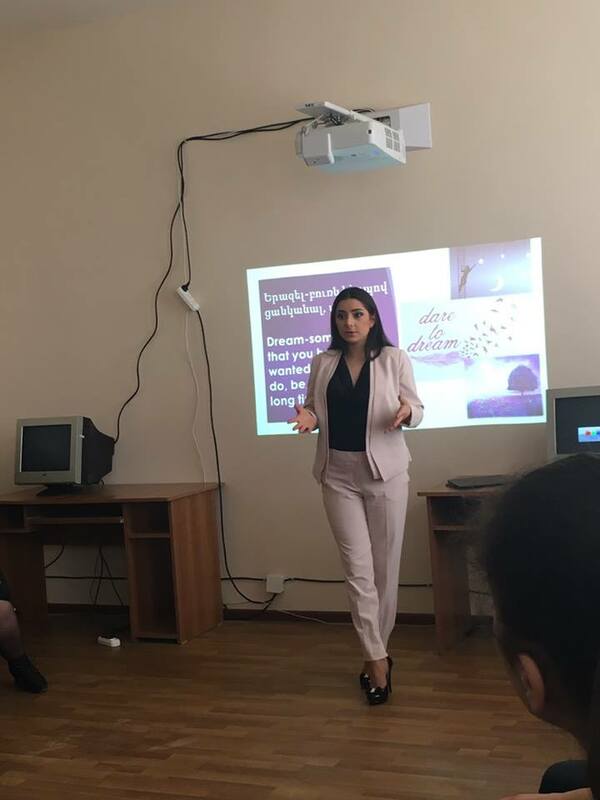 Throughout the seminar the participants came up with examples of successful women in Armenia and worldwide, gave presentations about their aspirations, and learned about women’s rights. A female role model of the community, the founder of a leading Armenian laboratory Ecosense Inesa Nazaryan gave a speech about the importance of education and described the development of her own career. 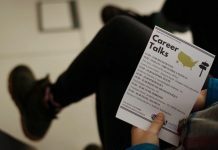 Students were particularly interested in the FLEX program and after the seminar stayed behind to ask questions about it. ”It’s extremely important to show young women that they have opportunities in their future. At the beginning many girls didn’t believe that the FLEX program was open to female participants as well. 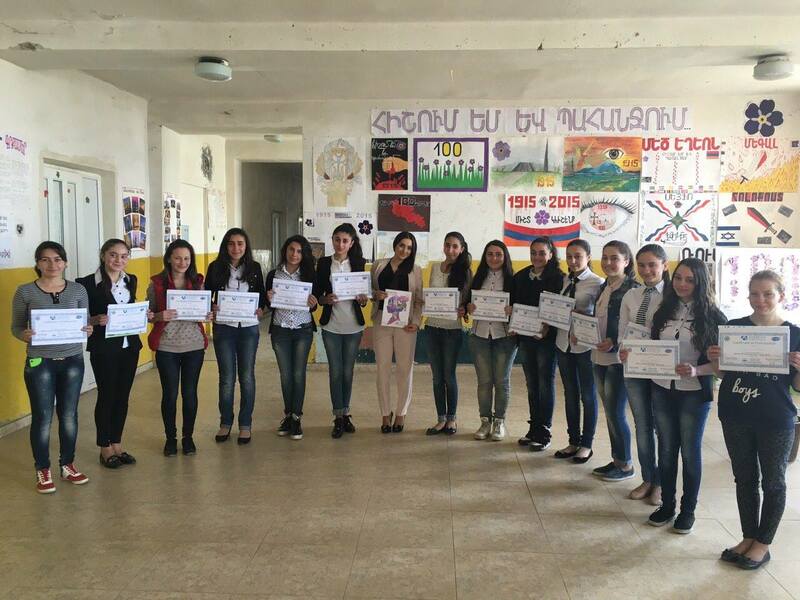 The next day all participants added me on Facebook and asked for more information about the program,’ shares Anahit. 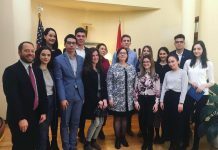 The school administration plans to continue seminars for young women on a regular basis and asked the FLEX alumna to conduct similar initiatives in the following year.